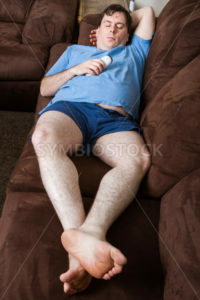 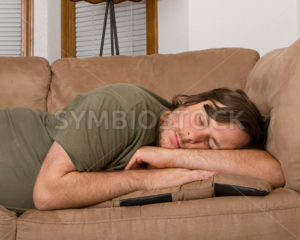 Man who needs to cut some weight doesn’t get off the couch watching TV. 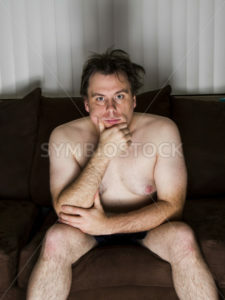 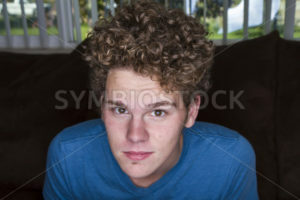 Man watching TV or thinking while sitting on the couch. 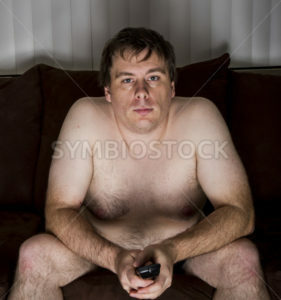 doesn’t like the results of what was on TV. 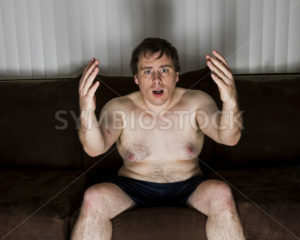 Obese male about to push a button on his remote with a look of hesitation on his face. 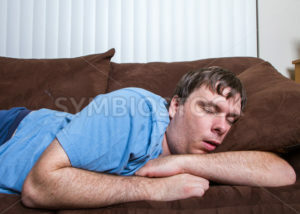 Child asleep late at night on the couch.